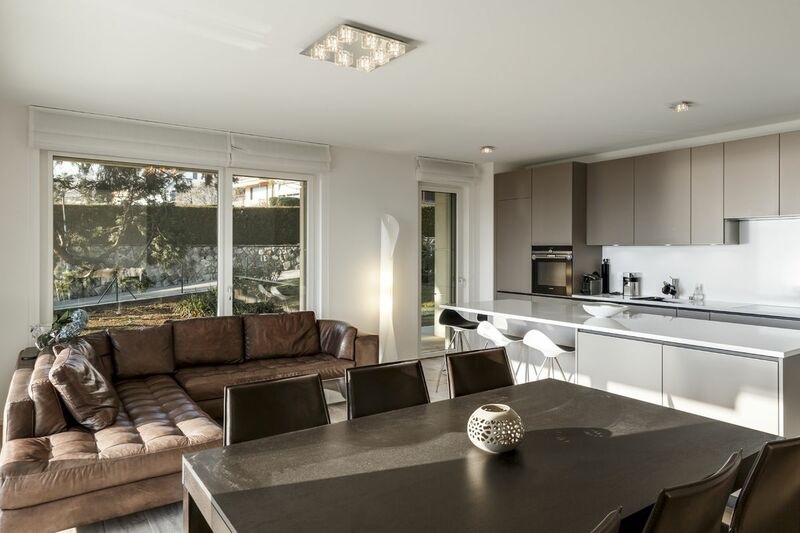 In the municipality of Corseaux, this superb contemporary apartment enjoys an idyllic location in a quiet residential area. A nearby bus stop ensures you can get out and about with ease. Schools are just a few minutes’ walk away, while the centre of Vevey and its amenities are five minutes’ drive from the property. Built in 2015 using premium finishes, the residence comprises two buildings with four apartments each. 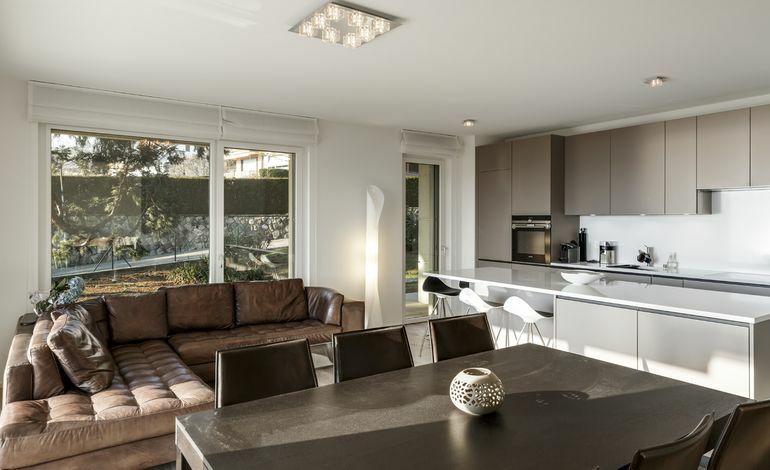 With 3.5 rooms, this property offers a living area of 90 m². It has been fitted with high quality materials for optimal comfort. The kitchen, which opens on to the living room, is fully equipped with premium appliances and a wine cabinet. A spacious 65 m² terrace and a private garden are the ideal spots in which to relax and admire the superb view of the lake and surrounding mountains. South-facing, this home receives plenty of light throughout the day, thanks to its many large windows. 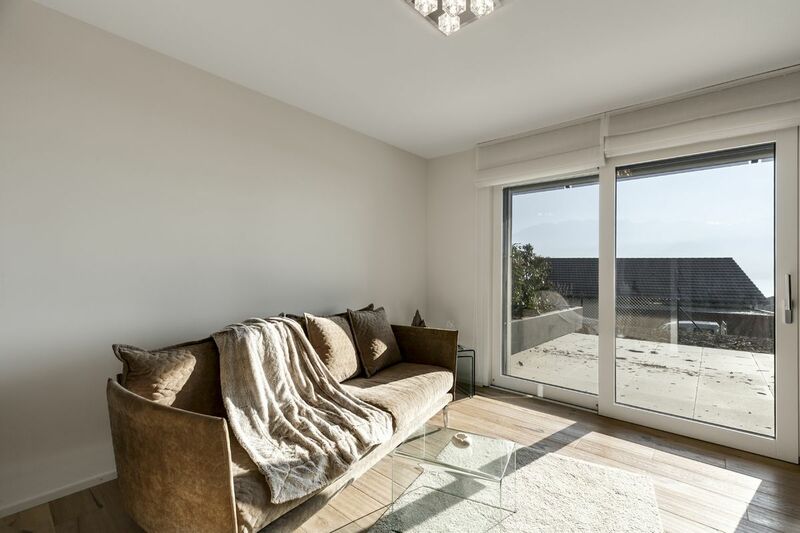 This apartment has been immaculately kept and is in excellent condition. It also offers cutting-edge home automation and multimedia systems. Two indoor parking spaces and a cellar complete the property.